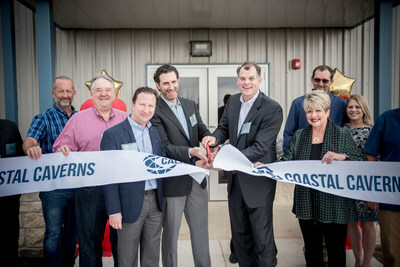 HOUSTON, Nov. 8, 2018 /PRNewswire/ -- Caliche Development Partners, a Houston-based company focused on the development, construction, and operation of subsurface hydrocarbon storage assets and related pipelines in North America, today announced that its first natural gas liquids (NGLs) storage project in Beaumont, TX is officially in service. 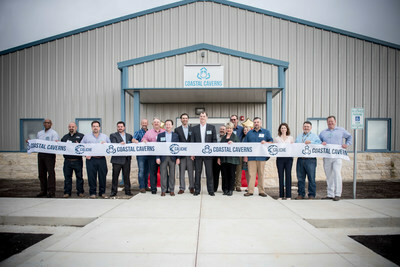 This milestone follows a detailed commissioning effort, providing safe and on-specification handling and storage of ethylene from Caliche's initial pipeline connection. The project's cavern allows for storage of up to 600 million pounds of ethylene and connects to a 12.8-mile header system crossing five operating ethylene pipelines, two more of which will be connected to the facility before the year's end. This announcement follows drilling completion of a planned, five-million-barrel cavern for ethane storage. Caliche expects to provide up to 120,000 barrels per day of ethane deliverability, as well as a 12-mile ethane header mirroring the path of Caliche's ethylene system. By the end of 2019, the ethane header will cross five ethane pipelines connecting more than 50% of Gulf Coast ethane consumption with the Mont Belvieu NGL complex. Additionally, Caliche has begun drilling a planned three-million-barrel cavern for other NGL storage with up to another 120,000 barrels per day of deliverability. "Caliche has received tremendous support from the market and Beaumont community over the past year-and-a-half, and it is rewarding to pass such a significant milestone," said Dave Marchese, Chief Executive Officer of Caliche Development Partners, LLC. "I'm most excited about the team we have built in Beaumont to provide safe, reliable, robust storage services to our customers. This team will continue to grow as we complete construction of our second and third caverns, and associated facilities. Customers are asking for ethane and other NGL storage, and we have the people, location and assets to serve these markets and customers." When fully developed, Caliche Coastal will provide up to 32 million barrels of purpose-built, salt cavern storage facilities. Caliche Development Partners, LLC is a Houston, Texas-based company focused on the acquisition, development, construction, ownership, and operation of subsurface hydrocarbon storage assets and related pipelines in North America, with a primary focus on the U.S. Gulf Coast. The company has partnered with North America's oldest dedicated midstream private equity investor, Energy Spectrum Capital, who also brings substantial midstream experience to the Caliche board. Together, the team offers a mixture of deep industry knowledge, positioning the partnership for successful development and ownership. More information about Caliche Development Partners, LLC and Caliche Coastal can be found at http://www.calichestorage.com/caliche-coastal.html. More information about Energy Spectrum Capital can be found at https://www.energyspectrum.com.